The Swan House is an iconic venue located right outside of my gorgeous city, Atlanta. The mansion sits in a quiet part of town, overlooking the cascading hillside and is surrounded by beautiful paths and gardens. This wedding editorial was inspired by the gorgeous hues of winter while incorporating delicate touches of pink. Cherise and Dakota had a demeanor that brought a soft elegance to the day, wearing clean and sophisticated attire. Jennifer Nieman styled the gorgeous bride's hair with loose waves, while creating a soft look for her makeup. Lindsay Coletta provided florals that added a depth and texture to the day, using one of my favorite flowers, the peonie. Brianne McMullan helped bring the day to life by styling the table scape to perfection as well as the beautiful stationery provided by Kelly Lee Designs. This was one of the highlights to my 2016, and I'm so excited to share this with you. 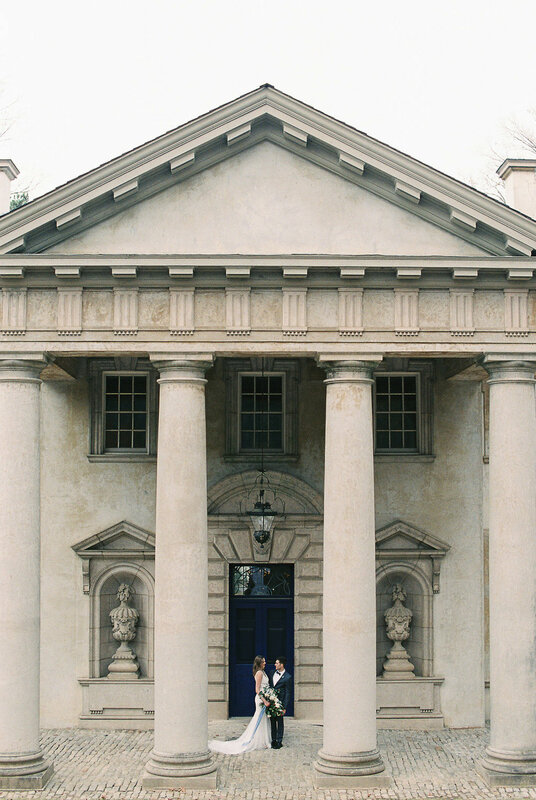 I'm hoping one day to photograph a real wedding at this beautiful, iconic, Atlanta wedding venue.